A 17th century traditional pub, retaining oak beams, brick fireplaces and many reminders of days gone by. Great pub dining plus award winning ales & wines. 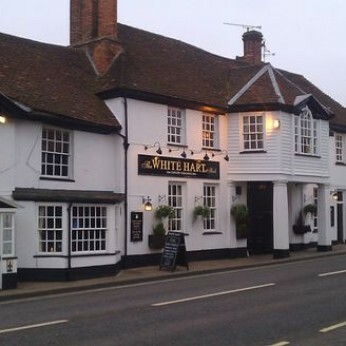 White Hart Hotel in Hook has accommodation. The pub has a beer garden, it has a car park. White Hart Hotel gives a warm welcome to dogs and their owners. The pub is a family friendly pub, it serves food. White Hart Hotel has an outside area. The pub serves real ale, it has a real fire. White Hart Hotel has free WiFi. The pub is a member of Cask Marque. Got that Friday feeling already?! Why not try a Sipsmith Summer Cup ??????????? ?